The ‘Our Movement is One’ Oral History Project is a history PhD study conducted by Esther Stanford-Xosei at the University of Chichester on the historical trajectory and impact of the International Social Movement for African Reparations (ISMAR). • record and document the persistence and diversity of organising for reparations in Britain through interviewing various reparations advocates, activists, allies and tracing their individual and collective activism, community organising, campaigning and/or lobbying at a grassroots, national or international level. • support community based reparations actions in the present based on an understanding of the past history of reparations thought, advocacy and activism. This information, in combination with archival and textual sources, will be used to write a concise social history of reparations related thought, advocacy and activism of individuals, groups and networks within the Britain from the 1700’s to the present day. The project will record audio, and in some instances face-to-face interviews with a diverse group of activists, advocates and supporters of reparations who have ever had any involvement with advancing the cause of African Reparations. These interviews will then be preserved as a permanent resource on the history of the ISMAR. Some of the content from the recordings will also be used in a PhD thesis, publications and broadcasts, be posted in full or partially online and be made available to all interested persons for historical or other scholarly research. What are the time commitments for participating in this project? • An initial interview (approximately 1.5 – 2 hours). • Review transcript (approximately 1 hour). • A follow up interview, if required (approximately 1.5 – 2 hours). • A debriefing interview and/or meeting enabling you to share comments or concerns about your experiences of participating in the research project, (interview approximately 0.5 hours and/or meeting approximately 2 hours). What happens to information collected during the research? Your interview, transcript, summary of the said interview as well as any other documentation provided will be stored securely either electronically on computer or in hard copy version in a locked cupboard at the University of Chichester in the first instance. The possibility of developing a Reparations Archive, which is proposed will be hosted at the University of Chichester in partnership with a suitable community based institution such, as the Black Cultural Archives is being explored. In the meantime, storing the interviews, transcripts and any other data securely at the University of Chichester will ensure that the data collected can made accessible to researchers, lecturers, students and other members of the public for educational or research purposes. What are the benefits of participating in this research? As the research will consist of, with your permission, you will have a chance to participate in the creation of the historical telling of your individual or organisational role and contribution to reparations thought, advocacy or activism. You or your organisation may also have the satisfaction of knowing that you are contributing to preserving the history of the ISMAR in the UK. In addition, you may find that being interviewed and being asked specific questions helps you to clarify and/or reflect on what you have been trying to accomplish and how. Notwithstanding the above, no guarantee of benefits is made to encourage you to participate. As this is a PhD research project there is no financial compensation although you will receive a copy of the interview and transcript. By agreeing to be interviewed, you will help to fill in the gaps in what is known about the history of reparations thought, advocacy and activism in the UK. Every effort will be made to include the theoretical insights and contributions of reparations movement activists and intellectuals in the analysis of the data collected. Accordingly, your involvement will contribute to facilitating a learning and reflection process within the ISMAR on the effectiveness of the strategies and tactics used, as well as contribute to movement members assessing strengths, weaknesses, outcomes thus far and options for future development. Such reflections can be then utilised to improve and strengthen reparations advocacy, action and social movement-building in the foreseeable future. In addition, telling the story of the ISMAR will contribute to informing local and global academic, legal and policy dialogues and debates on reparations as a form of restorative justice in the UK. What are the potential risks of participating in this research? There are very minimal risks if you participate in this project. For instance, you may find people disagree with some of your opinions or your interpretations of historical events and that disagreement could be strong. This could include other participants in the ISMAR or members of the general public. However, this risk can be minimised by enabling you to inform others about your experience of reparations organising and in the process potentially contribute to a greater understanding or clearing up any misconceptions of what your role or work within the ISMAR has been. There is a minimal risk that what may be perceived to be internal weaknesses within the movement will be exposed. Understandably, social movements have an interest in minimising public knowledge of internal divisions and disputes and maintaining an appearance of unity and solidarity to the outside world. Despite the possibility of this risk, it could also be seen as a strength, in that a perceived lack of uniformity within the ISMAR reveals varied understandings, conceptions and actions on reparations. 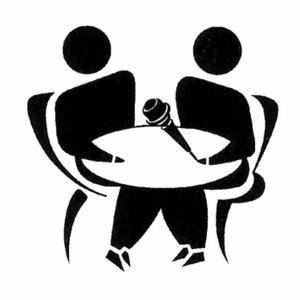 Since interviewing is a dialogue between interviewer and interviewee in a collaborative effort to create truth, there is a risk that the oral history you provide will be subject to critical analysis by me as an activist researcher, other members of the academic community and general public. However, there are well established approaches in academic research which allow for taking into account the interests and biases researchers bring to the study as well as the unequal relationship between interviewees and researchers. Notwithstanding the above, it could be argued that the risks will be outweighed by the benefits of seeking to arrive at historical clarity and accuracy. This can be enhanced by recognising the complexity of the ISMAR as well as differences of ideology, strategy and tactics among the diverse array of individual actors, organisations and networks that have comprised the movement. Your interview, transcript and summary will be stored in the ‘Our Movement is One’ Oral History Project Archive where it will be available to the public which will initially be based at the University of Chichester. In the interview you may be identified by name, subject to your consent. After the interview, you will be asked to sign a consent form (see form at pages 6-7). Signing the consent form means that you will be allowing the Reparations Oral History Project to use your interview in the ways listed above at page 6. Unless you request anonymity, your name will be referenced in the transcript (whether verbatim or edited), audio recording (or video recording) and in any material generated as a result of this research. However, if you request anonymity, your name will not appear in the transcript or reference to any material contained in the interview and the recording of you will have the option of your interview being closed to public use. However, it may still be possible for you to be quoted anonymously. This means that nothing you cite would be able to identify you as the individual interviewed and your interview will only be identified by an internal tracking number. If you request anonymity, no pictures will be taken of you and such anonymity also extends to other audio or visual material which identifies you. Data collected about you such as your address and contact details during your participation in this research will be stored securely on computer and remain confidential. At no time will your contact information such as address and telephone will not be disclosed to the public. You are free any questions that you choose or to request that the recording device be turned off at any time during the interview to withdraw from this research at any time. At any point during the interview/s, you may also pause, or choose not to answer a question. What happens if I don’t want to take part in the research? Participation in this research is entirely voluntary. It is completely up to you whether or not you participate. Who should I contact if I have concerns about the conduct of this research?